When purchasing a used car, truck or SUV it’s a good idea to have a game plan that will get you in the right vehicle for the right price. Like buying new, your top priority should be how much can you actually afford. Buying something that is out of your price range can cause major headaches and financial difficulty down the line, so be smart and buy wisely. Here is our top steps to making sure your next used vehicle purchase goes smoothly. Most people who purchase a used vehicle, purchase with a vehicle loan either from a dealership or directly from a bank. Dealerships will often offer incentive packages with lower interest rates for those with good credit. Going to a dealership knowing your credit history will give you a good idea if you will be able qualify for a lower interest loan. Usually dealer incentives and interest rates aren’t as good on used cars as they are on new cars. When calculating your price limit make sure to include monthly or yearly insurance costs, estimated maintenance fees (like oil changes) and fuel consumption costs. Often new car purchasers under estimate their total monthly fees and scramble to find more money. If the car is out of warranty, the dealership my offer extended warranty options, which will add to the overall cost. A good rule of thumb is to set aside extra money to cover unexpected repairs and insurance deductibles should an accident occur. Often when people are buying a used vehicle, they settle in on one or two vehicles and might miss out on others that are actually better options and cost less. When buying used the selection of used vehicles is usually limited, so it’s a good idea to have a list of 3-4 used vehicle brands to choose from. If you are wanting to buy a used Honda for example, going to a Ford dealership probably isn’t the best idea, but the Ford dealership might have a similar model that’s a better value. Websites such as Edmunds provide a lot of vehicle information to help you create your top 3 or 4 list. You should also consider whether you want to buy an older vehicle that is out of warranty or one that is newer and could be covered under a Certified Pre-Owned Program. As with any purchase, prices can vary depending on location, inventory and time of year. When buying from a dealership, look for special promotions and incentives. End of the month specials and end of the year specials can often save you hundreds of dollars. It’s a great idea to do a little bit of homework for each vehicle you’re interested in and get a high end and low end ball park figure of price. Unlike new vehicles, used vehicles have a history and it’s a very good idea to get a history report on each used vehicle you’re interested in. Most dealerships can run a history report on the used vehicle they are selling and often have it already available. 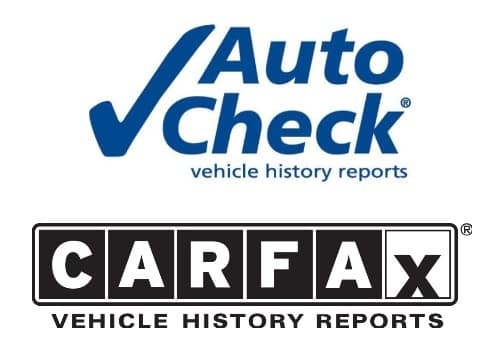 Another option is to use services like AutoCheck and Carfax, which specialize in vehicle history reports. In either case, the Vehicle Identification Number (VIN) is required to run the checks. As with all vehicle purchases, it is a very good idea to test drive all the vehicle models you are interested in buying. When performing a test drive, make sure to test drive the vehicle you want to purchase and not a vehicle that is similar to the one you want to purchase. 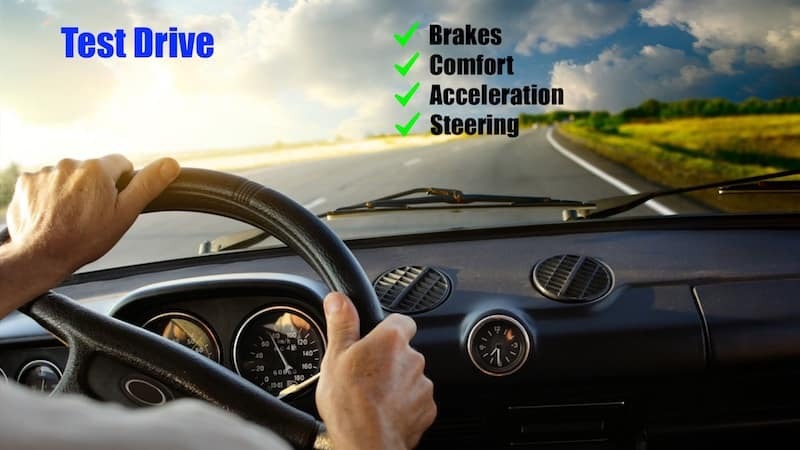 An example would be test driving an automatic transmission vehicle, when you’re wanting to purchase one with a stick shift or test driving a 4 cylinder engine, when the one you want is a 6-cylinder. During the test drive make sure to test drive at highway speeds and city speeds. Look at all the tires for signs of irregular wear. Check that the headlights (High and Low beams), brake lights and turn signals all work. Check for any signs of rust on the bottom of the car and around the door edges and trunk. Open the front hood while the car is running and listen for irregular sounds like knocking, ticks or hisses. When in the driver’s seat make sure the controls all work properly, including the air-conditioner, radio, windows, door locks, sun roof and any other controls. Make sure the vehicle is easy to get in from both the driver side and as a passenger. Make sure the vehicle offers enough headroom and leg room. Adjust drivers seat, headrest and steering wheel for comfort. If the vehicle has a rear-view camera, make sure it works when backing up. Once the test drive has been complete, ask for any service records. These will let you know if the vehicle has been serviced on a regular basis. Once you have decided on your top choices and are trying to pick one, it’s a good idea to get the vehicle inspected. Typical vehicle inspections cost roughly $100 and warn you of potential problems. If the vehicle is a Certified Pre-Owned vehicle, the dealership will have the inspection information and warranty. Once you have narrowed your search to a single vehicle, have test driven and done the vehicle inspection it’s time to negotiate. When it comes to dealership negotiation, never pay listed price. Make an offer that is reasonable and is in your price range. Let the dealership know that you have done your research and know what price is fair. In general dealerships have more wiggle room selling used cars than new ones. Knowing what the typical trade-in value was for the vehicle is and what the dealership has it listed for can give you an idea on what their profit might be. Remember don’t be pressured into buying the vehicle if you don’t feel comfortable with the price or buying process. Sometimes no deal is the best option and walk away. Hopefully you made it to the finish line and purchased your NEW used vehicle. At the end of the day, the final vehicle purchase transaction includes signing a lot of paperwork and working out any dealer or bank financing. Dealers will often include additional options including extended warranties and vehicle extras. Be aware that any extras will add to the bottom line of the vehicle price and increase monthly payments.